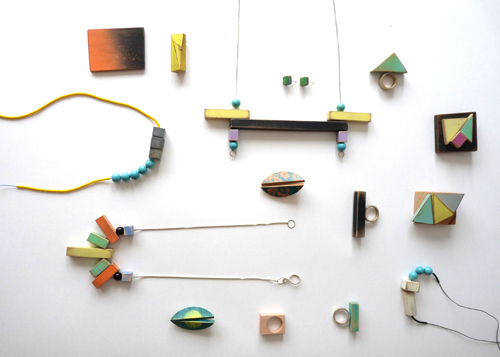 Bridget Harvey is a London-based textile designer-maker specialising in wood. Her evocative work is designed to be worn yet these pieces work equally well as stand alone, self-supporting textiles. Breaking from the traditions of draped textiles, Harvey’s beaded wooden pieces have an inherent modular nature that signal repetition, multiplicity and complexity. See The Geometrics: Volume 1 and 2 for her large knotted piece and interview with the artist. Exhibitions include The Power of Making at the V&A and Nothing But Navy, London.